As we’ve previously discussed, there are several factors and causes of varicose veins. Thankfully though, when these annoying, unpleasant, uncomfortable guys pop up there are several varicose vein treatment methods that quickly alleviate the problem. To give our clients a better understanding of the issues, we thought we’d share this video on how veins are supposed to work. As you’ll see, blood pumps through the one-way valves. When the muscle around the vein contracts, it opens the valve and blood moves towards the heart. And when it relaxes the valve closes to prevent backflow. 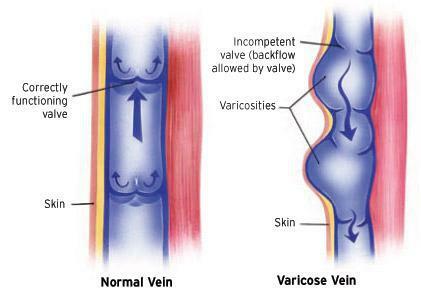 If the valves malfunction, blood can flow back away from the heart and cause the vein to swell up, become noticeable and varicose. When that happens, reach out to Atlantic County’s, Cape May County’s and or Ocean County’s top vein specialist, Shore Vascular & Vein Center a call at (609) 927-VEIN (8346) for a diagnosis, more information on vascular surgery or to schedule an appointment.